Carol M. Schmitz (nee Neuhengen), 75, of W Grand Avenue Port Washington, died Saturday, October 25, 2003 at her residence after battling cancer. Carol was born August 19, 1928 to Alvin and Clara Dickmann Neuhengen in Port Washington, Wisconsin. She married Ralph L. “Mike” Schmitz of Port Washington on April 23, 1949 at St. Mary’s Church in Port Washington. The couple made there home in Port Washington. Carol was an avid bowler and was the Ozaukee County Women’s Bowling Associations first President in 1984 and was inducted into it’s Hall Of Fame in 1993. She also enjoyed golf and played in the Hawthorne Honies Golf League. Carol held numerous committee positions in the Port Washington Womens Club and was also a member of the Van Ells – Schanen American Legion Post 82 Auxiliary. She enjoyed her family, traveling and playing bridge. Carol is is survived by her husband Ralph “Mike” Schmitz, and daughter Shelly (Mark) Kichura of Port Washington. Her daughter Sharon Schmitz precedes her. She was a proud grandmother of Kyle, Evan, Ross and Alyssa. She is further survived by other relatives and friends. Mass of Christian Burial 7PM Tuesday, Oct. 28 at St. Mary’s Catholic Church, 430 Johnson Street, Port Washington. Interment parish cemetery. 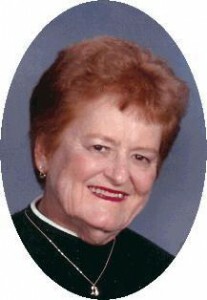 Visitation 4-6:45PM Tuesday AT CHURCH. Memorials to Port Catholic School appreciated.